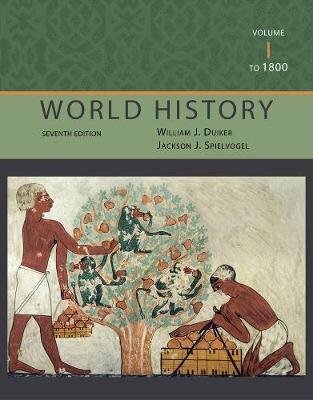 From the dawn of civilization to the modern dilemmas of nation building in Africa and the Middle East, WORLD HISTORY takes a fascinating look at the common challenges and experiences that unite the human past and inform the future. Authors William J. Duiker and Jackson J. Spielvogel's best-selling text uses colorful visuals, maps, and dramatic first-hand historical accounts to give readers a powerful perspective on the human experience over time. The easy-to-read narrative is organized around seven major themes (Science and Technology; Arts and Ideas; Family and Society; Politics and Government; Earth and the Environment; Religion and Philosophy; and, Interaction and Exchange), important to all cultures from all time periods, to help readers understand the course of world history and make connections across chapters.